After buying a home, you naturally want to move in as soon as possible. But, before you start rolling in the furniture, why not take the opportunity to clean your new place? Checkout a few tips on how to get a jumpstart on the cleaning so you can feel even more at ease in your new home. Start by cleaning the bathtub or shower with cleaning solution that contains bleach. The bleach will help to kill any leftover bacteria and make your tile shine like new! In addition, clean your toilets with a solution containing bleach and make sure to wipe down the seat, base, and back of the toilet tank. Use a mild cleaning solution on the sink and counter area. Lastly, don’t forget to clean the tile floor with a sponge mop. The kitchen is another well-used area in any home. So, start your thorough routine of cleaning by dusting the insides of the cabinets with a lambswool duster. Scrub the kitchen sink, its fixtures and the countertops with a mild cleaning solution. Take the drawers out of the refrigerator and wash them with dish soap and hot water. Also, wipe the shelves in the refrigerator with a white vinegar and water mixture. Turn on as many lights as you can to see into the upper and lower corners of your foyer. The foyer is close to the front door which means it’s easy for spiders to sneak in and build webs. Knock down any webs you see in the corners or on light fixtures. Don’t forget to check inside the coat closet! The living room is likely to be another well-traveled place in your new home. If there is carpeting, take the opportunity to have it professionally cleaned before a single piece of furniture touches the floor. After the carpet dries, put down a tarp so the movers and others don’t track dirt onto your newly cleaned floor. If the bedrooms in your new home have carpeting, have those professionally cleaned as well. Clean the clothing rod and shelves in your closets using your lambswool duster. If you have windows in your bedrooms, open them up to let some fresh air into the space. If you’re a new homeowner in Treasure Valley who wants to take these and other cleaning tasks off your plate, Fabulously Clean has your answer! 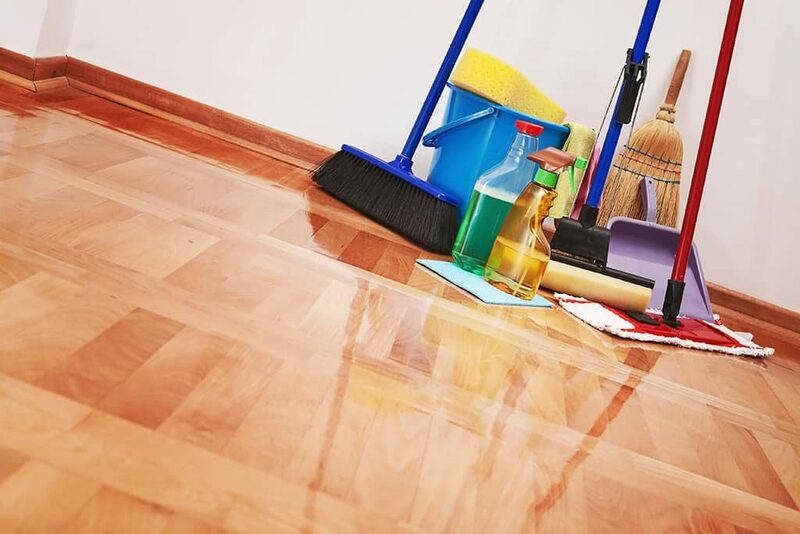 We offer affordable housekeeping services for all of the rooms in your home. Select from any of our cleaning packages to get exactly what you want for your new residence. Call us today at (208) 608-4648 to let us know how we can help!